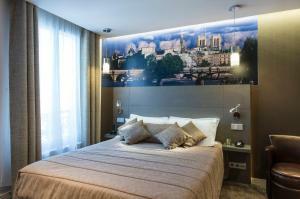 Set in a Haussmannian-style building, this 3-star hotel is located opposite the Maison de la Mutualité and 210 metres from Cardinal Lemoine Metro Station. 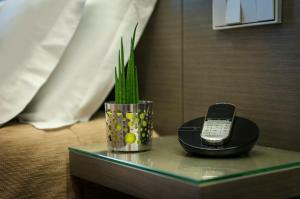 An LCD TV features in the air-conditioned guest rooms. 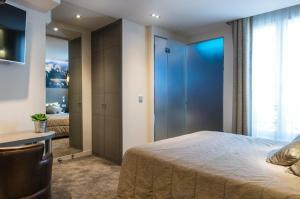 Each en suite room is individually decorated, and some offer exposed beams and stone walls. A hairdryer is provided in the bathrooms, and Wi-Fi access is available. Some rooms have views of Paris, while others have views of the courtyard. 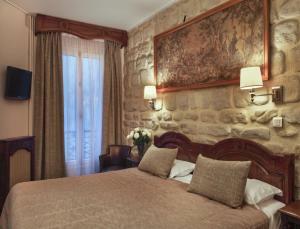 A buffet breakfast is served in the dining room at Hotel Minerve, which is decorated with tapestries and stone walls. The hotel also offers 24-hour room service, a meeting room and a computer room with internet access, available with an extra cost. 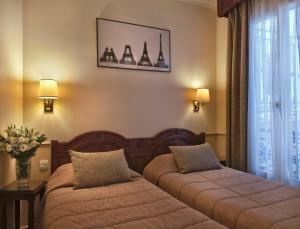 The Botanic Gardens are located 600 metres from this hotel and Notre Dame Cathedral is a 10-minute walk away. Jussieu Metro Station, providing access to the Louvre Museum, is just 300 metres away. 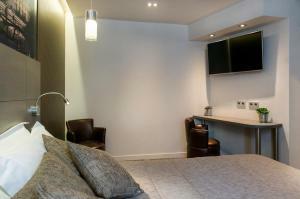 An LCD TV and a private bathroom with a shower and a hairdryer feature in this air-conditioned room. Views of the courtyard are provided. 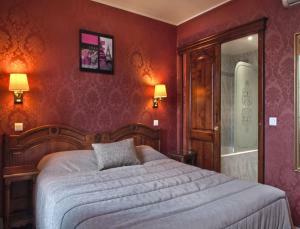 Rate: € 159.00; select dates below to get current rates. 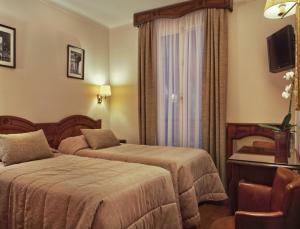 This twin room features a soundproofing, air conditioning and satellite TV.